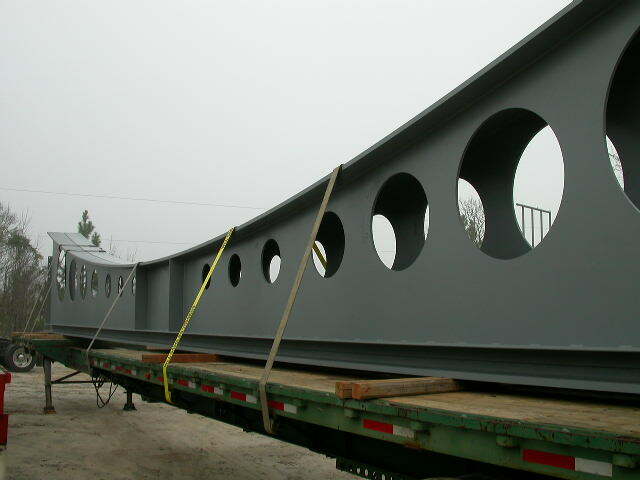 We fabricate and erect our projects with forces on the Ogeechee Steel, Inc. payroll. 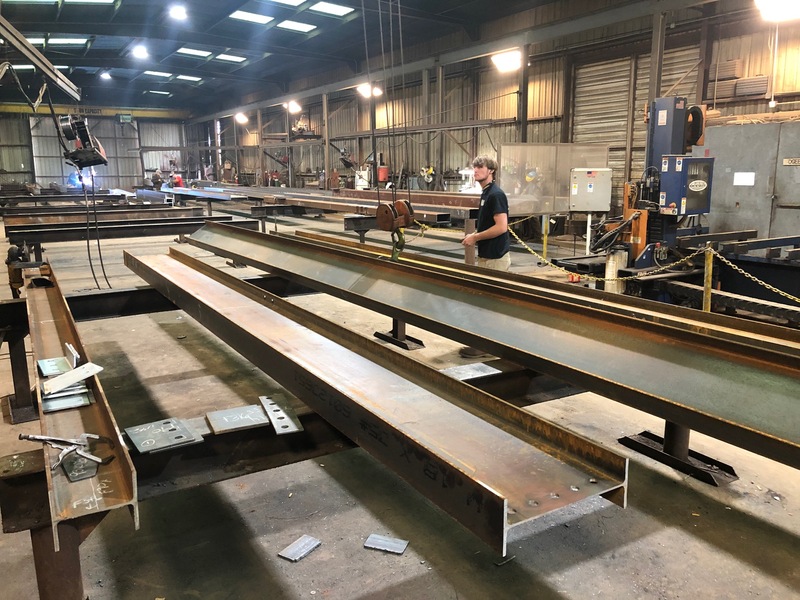 This gives the General Contractor the ease of coordination without having to handle disputes between the fabricator and erector – Ogeechee Steel is BOTH. Many firms rely on modern technology/beam lines to produce their product. 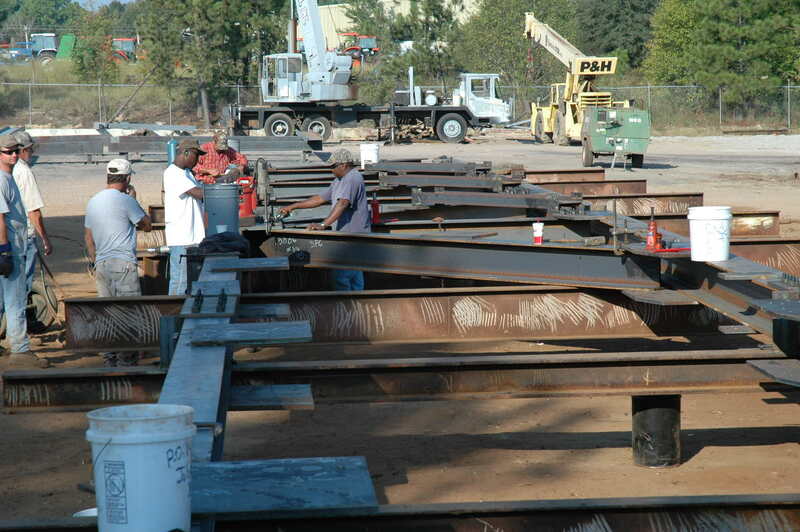 We have instead made the decision to invest in the knowledge and expertise of Ogeechee Steel, Inc. man power. Our three shop supervisors provide combined experience totaling 85 years. 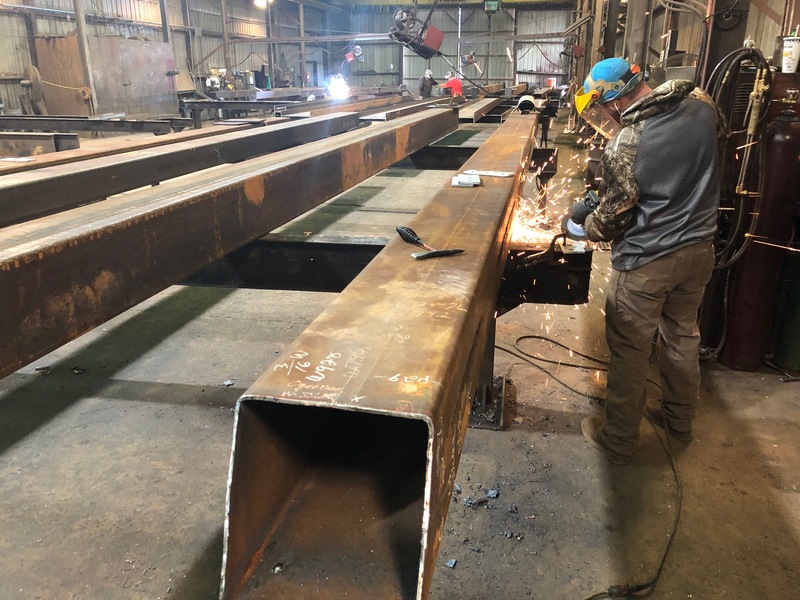 We pride ourselves in the ability to fabricate projects from simple structures such as warehouses to complex structures such as athletic stadiums, museums, multi-tier structural steel buildings with complex fascia systems, and buildings containing Architecturally Exposed Structural Steel (AESS). 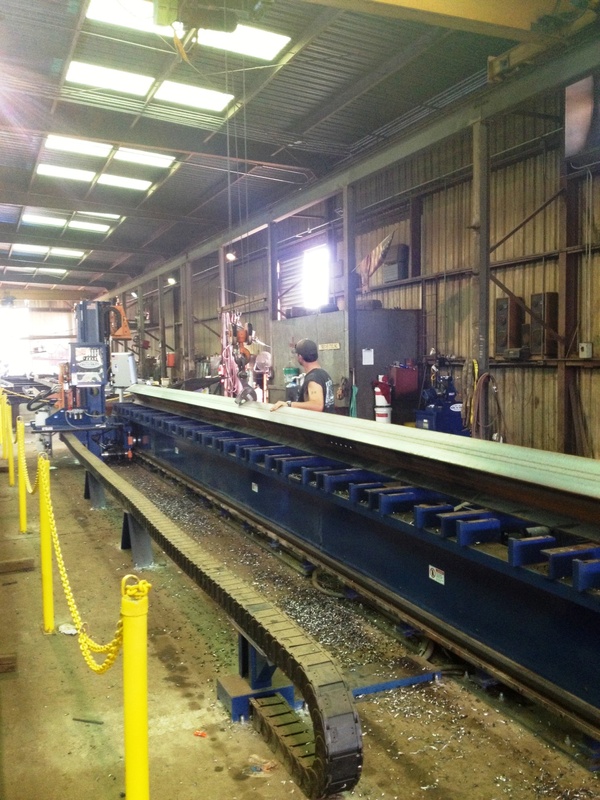 Our “under cover” fabrication facilities are located within a metal frame 50′ x 300′ building with 125′ of extended monorail at one end. Inside the building are three – 5 ton overhead cranes. The building houses our Spartan IW180 DX Iron Worker, and our Marvel Series 81A Saw. Our “uncovered” fabrication area and painting/loading area cover approximately three acres in work space. These areas are accessible for any one of our yard cranes ranging from a 15 ton rough terrain crane to a 60 ton truck crane. Our shop fork lifts range in capacity from 6,000# to 30,000#. 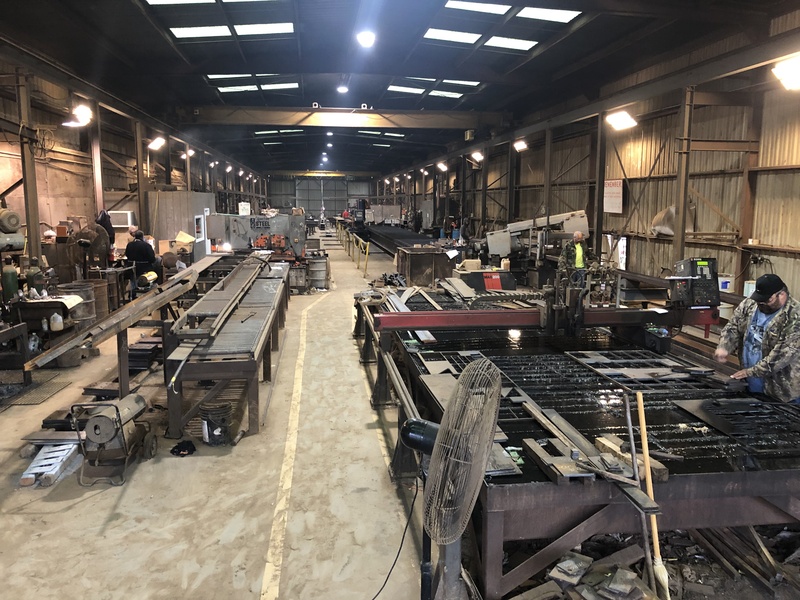 Ogeechee Steel, Inc. has the capability to sand blast clean iron up to an SSPC-SP8 White Blast cleaning. We can provide coatings from a simple shop coat of standard primer, a shop coat of two-part zinc rich epoxy primer, up to a multiple coat system with finished painting in the shop. 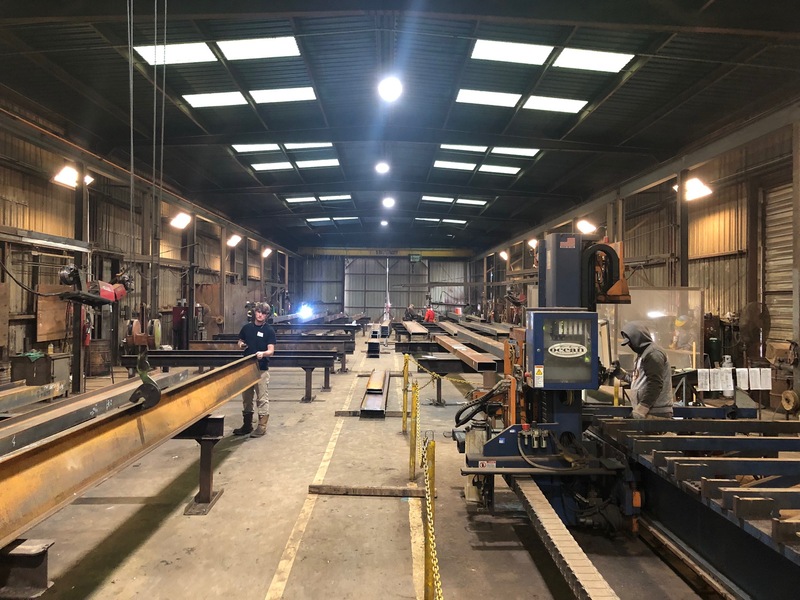 Dependent upon the complexity of fabrication, our shop currently produces 150-200 tons of fabricated product per week. Ready to experience the Ogeechee difference, get in touch with us today!